Not very long ago, people had to work hard to take care of basic tasks. Washing a few clothes could take several hours or even days. People had to heat water on a stove and then scrub clothes on a washboard. The clothing was then sent through a ringer to remove excess water and then hung on a line to dry. Some machines used in your home. Keep reading to know all about machines that make life easier. Cooking was also a big job. First, people had to cut wood to make a fire in a stove. They had to chop any vegetables or ingredients by hand. They had to heat up water on the stove. Finally, cooking the food took a long time. Today, most people in the U.S. have machines to make life easier. With just a push of a button, we can clean our homes, cook our food and wash our clothes. 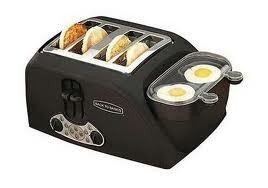 Before toasters were invented, people toasted bread over a fire. Washing machines have a big drum that holds the clothes. A motor turns the drum slowly to wash the clothes and fast to remove the water. A heating element even warms the water to get clothes cleaner. Blenders and food processors chop, grate or puree food in seconds. Before electricity, people heated heavy irons over a fire to iron clothing. Microwaves vibrate the liquid in food to heat it in just a few seconds or minutes. Calculators let you add, subtract, multiply or divide numbers in seconds. Your computer can do millions of jobs for you – write letters, make projects, research information, pay bills, buy clothing and books or do your taxes. Lawn mowers cut lawn quickly. Chain saws cut wood. 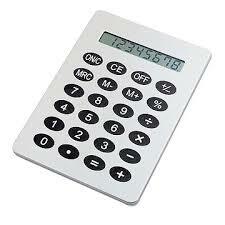 Calculators is a machine that let you add, subtract, multiply or divide numbers in seconds. Puree: turn a solid food to a liquid. A smoothie is an example of a pureed food. A video about construction equipment that make life easier. Question: When were modern appliances first invented? 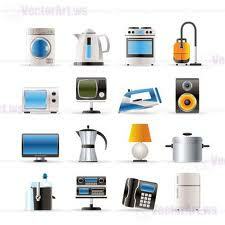 Answer: Most of the appliances we use were invented in the 1900s, after electricity was invented. Enjoyed the Easy Science for Kids Website all about Machines info? Take the FREE & fun all about Machines quiz and download FREE Machines worksheet for kids. For lengthy info click here.